NIU alum Jeffery Yordon will present “Building Bridges and Breaking Barriers” at 7 p.m. Monday, Nov. 1, in Altgeld Hall. The event is being sponsored by Phi Sigma Kappa fraternity and Alpha Phi Alpha fraternity. Yordon will discuss current job market trends and how to distinguish yourself. Doors open at 6:30 p.m.
Yordon received a bachelor’s degree from NIU. His loyalty to his alma mater is evident by his membership on the NIU Foundation board and board of directors of the NIU Executive Club, and through his service as an alumni adviser to NIU Intercollegiate Athletics. His most recent position is as founder, president and CEO of Sagent Pharmaceuticals, a unique global pharmaceutical company. Sagent has more than 55 partners located in 23 countries. He currently is chairman of the board of Sagent. 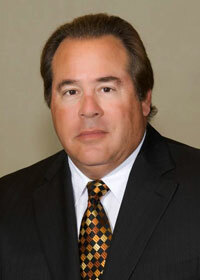 Previously he served as president and COO of American Pharmaceutical Partners for 10 years. He was one of the original founders of American Pharmaceutical Partners, Yorpharm, LyphoMed and Gensia Pharmaceuticals. Yordon has more than 40 years of pharmaceutical experience. He was a member of the board of directors of APP, Pharmaceutical Partners of Canada and Drug Source Company, and also is a board member of DCAT and Therapeutic Proteins Inc. He also was the president of Pharmaceutical Partners of Canada, a wholly owned subsidiary of APP, and Drug Source Company. Yordon is also the president and director of KSP, a Chengdu, China, organization. For more information, contact Robert Sorsby, president of Alpha Phi Alpha Fraternity, Inc., or Jeremy Wickland, president Phi Sigma Kappa Fraternity, at (815) 977-7560, ext. 3.